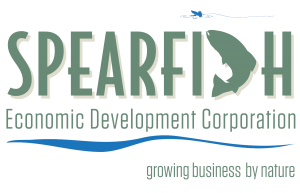 The Spearfish Economic Development Corporation awards the annual Rising Star Award and Award of Excellence to standout businesses or organizations in the Spearfish Community during its Annual Meeting of the Membership. The meeting also recognizes outgoing and incoming Board of Directors, as well as identify new leadership roles in the organization. The Rising Star award recognizes entrepreneurial spirit of individuals who make the investment of time and money to grow a small business in Spearfish. The Award of Excellence recipient exemplifies dedication and commitment in business development, capital investment, job creation and leadership in the community.